This post is written by Alex a fellow travel blogger and friend of mine. We met back at camp in 2011 and have since continued to to keep in touch mostly due to our love for travel. During her study abroad year she even stayed with us back when we were living in London in 2012. Since applying for university to start in September 2014 Alex’s travels and year abroad have intrigued me, especially how she has managed to afford it all on a student budget. 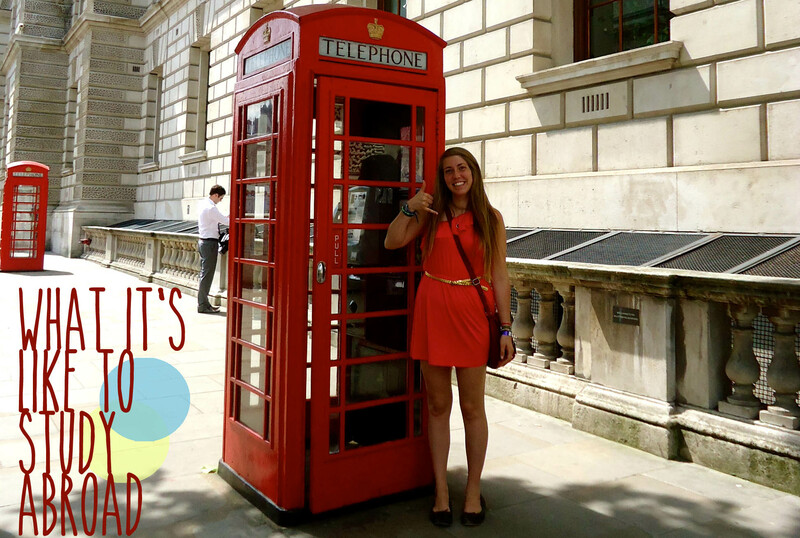 Here she gives an insight in to what it’s like to study abroad and how she has afforded it all. If you would like to read more about Alex’s adventures then head over to her blog AM Travel Times or follow her on twitter , facebook or instagram. Traveling abroad had always been a goal of mine, but when I was younger it didn’t seem quite possible. Once I became a university student, I began to realize that there were many programs that allowed students to spend a year or semester studying abroad. I started to do my research, planed my class schedule, and figured out the financial backing for the trip. Finally, I was ready to embark on a great adventure that would change my life. At that point, I had no idea how much of an impact that journey would have on the rest of my life. I went through the AHA study abroad program, but there are also many others out there. If you are already enrolled in university, you should check with their international office. Most universities have a partnership with particular study abroad programs such as AHA or CIEE. In this case, the application to study abroad is all online, but you also can work with professors at the university to figure out your class schedule. Through out my travels, I have been asked time and time again how I can afford to travel so much. I have been fortunate enough to receive a lot of financial support in the form of scholarships and grants. There are quite a few scholarships out there for students taking classes abroad. For my semester in Spain, I received one scholarship through AHA and an additional three scholarships through my university. Of course, it is important to meet a minimum GPA, but most scholarship committees also consider extra-academic activities such as volunteering and financial need. My semester in Spain ended up being about the same cost as a semester at my home university (with the exception of the extra travel I did). My advice on finding money to study abroad is to talk to the international office. They should have resources to help students find scholarships specific for study abroad. Once in Spain, I lived with a host mom. When I first arrived I could barely understand her, which made daily communication very difficult. Once I started to feel comfortable in my new home, I felt that I needed to get more involved in the community around me. I started volunteering with the Cruz Roja (Red Cross) playing with kids at hospital twice a week and tutoring English in an elementary school twice a week. I also had two conversation partners who I practiced Spanish with, and they practiced English with me. The study abroad program that you choose should be able to help you to make these connections. My mentors set me up with one of my conversation partners and the volunteer positions. I found the other conversation partner at a bar, funny how things work out sometimes. In most study abroad programs, international students are placed with all international students, and although I was in Spain, the favored language among us was English. So, if you are trying to learn a second language, speak it – all of the time! 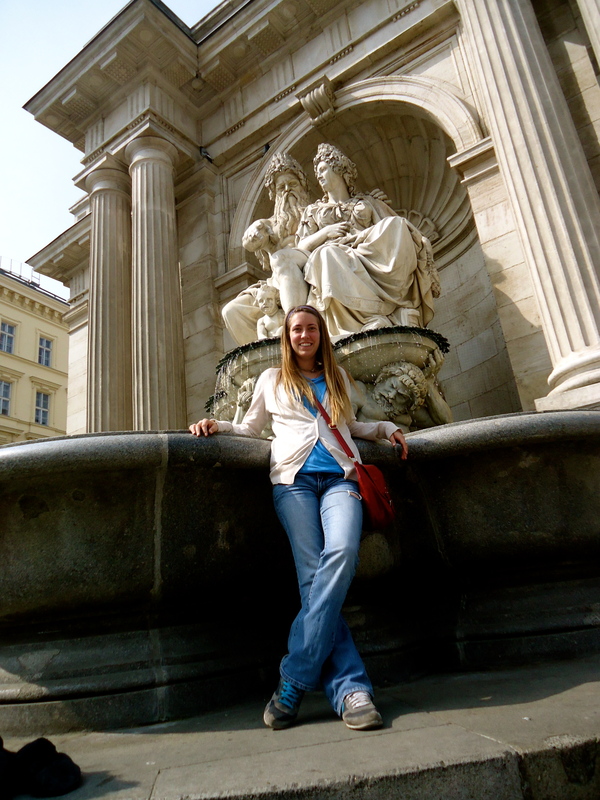 My best overall advice for studying abroad is to put yourself out there! You will not regret the things you do, but you will regret the things you do not do. While I was in Spain, I also did a lot of weekend and weeklong traveling. I spent “spring break” and the following week traveling through Eastern Europe with two other students I met while in Spain. Since I am from the US, just being in Europe made travel anywhere else in Europe seems extremely easy. With the help of cheap EasyJet flight prices I was able to travel quite a bit. After my program was over, I took off to the UK. I started in Scotland and made my way via overnight buses to Birmingham, Cardiff, Bath, and London staying with friends that I had met at the summer camp I worked at the previous year along the way. I ended my time in the UK in London with Jodie and JP, who I had also met at Camp Walden. My mom ended up flying over and met me in London. We then traveled to Italy and France for about two weeks. Again, you ask how I can afford all of this? – When I do travel, I travel cheaply! Studying abroad was a life-changing experience for me. Not only did I end up switching my major from Pre-Med to Anthropology (so I am able to travel and learn more about other cultures), but my outlook on life and happiness also changed. Instead of being so focused on the future, I live in the present and take the time to enjoy life. So, what are you waiting for, now is your chance to travel as a student and spend a semester or year abroad.